Bounce and slide all day with your favorite Princesses. 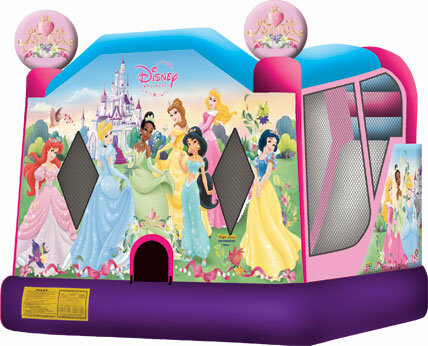 This Princess combo is a Disney liscenced inflatable with vibrant colors, a large bouncing area that's complete with a basketball hoop, a climbing ladder, and a fun slide. Show your princess what it means to get a happily ever after by renting this fairytale like inflatable. Perfect for birthday parties, church events, and school functions this one of a kind rental will catch the eye of all the princes! Just don't forget to take off your tiara!